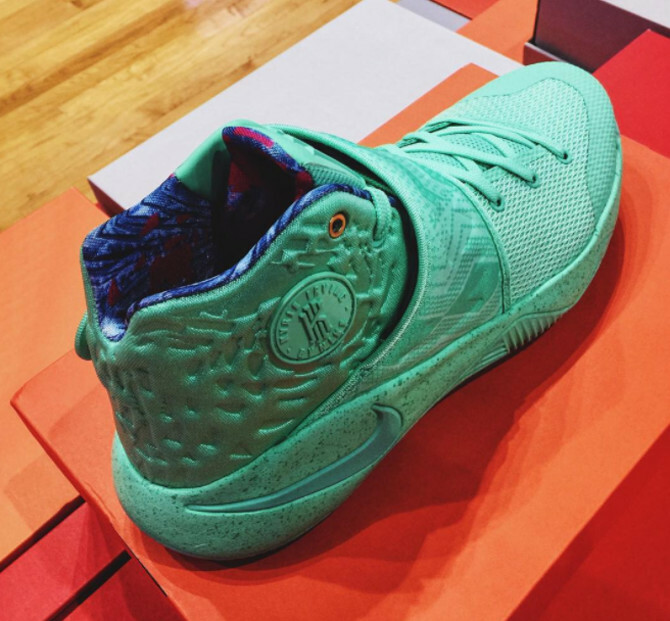 It appears that Kyrie Irving's signature Nike line will get a "What The?" 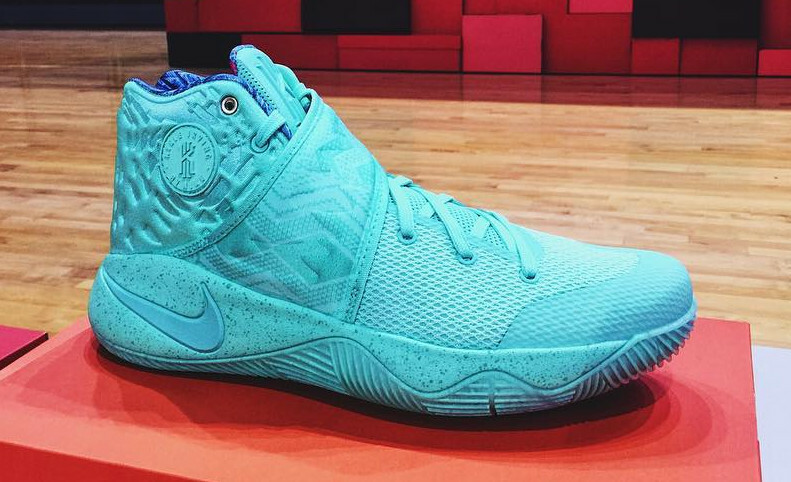 colorway for the first time ever in December via the Kyrie 2. While there were rumors about a "What The?" 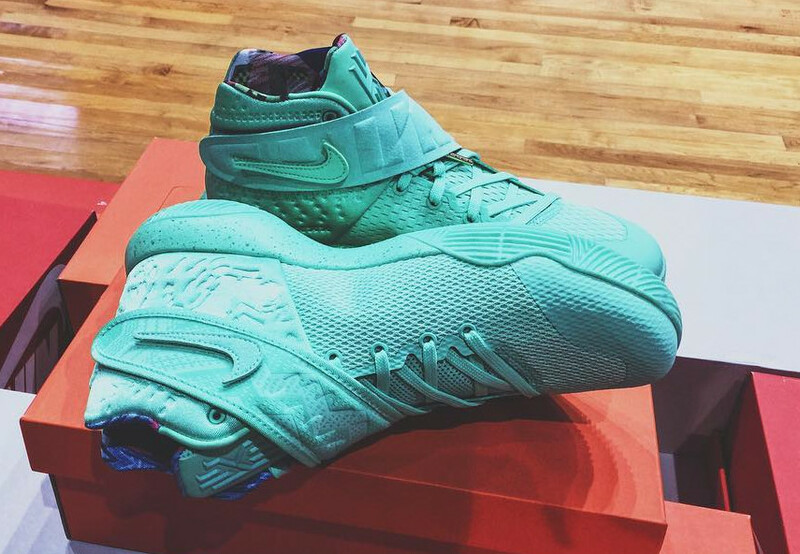 Kyrie 1, that shoe never became a retail reality. There are no leaked images available yet of the supposed "What The?" Nike Kyrie 2. The "What The?" Nike Kyrie 2 is rumored to release on Dec. 12. Nike's "What The?" treatment began on the SB Dunk and has since made its way to Nike Basketball signature models for the likes of Kobe Bryant, Kevin Durant, and LeBron James. UPDATE 11/30: More images of the "What The?" Nike Kyrie 2 below. UPDATE 11/9: A first look at the "What The?" 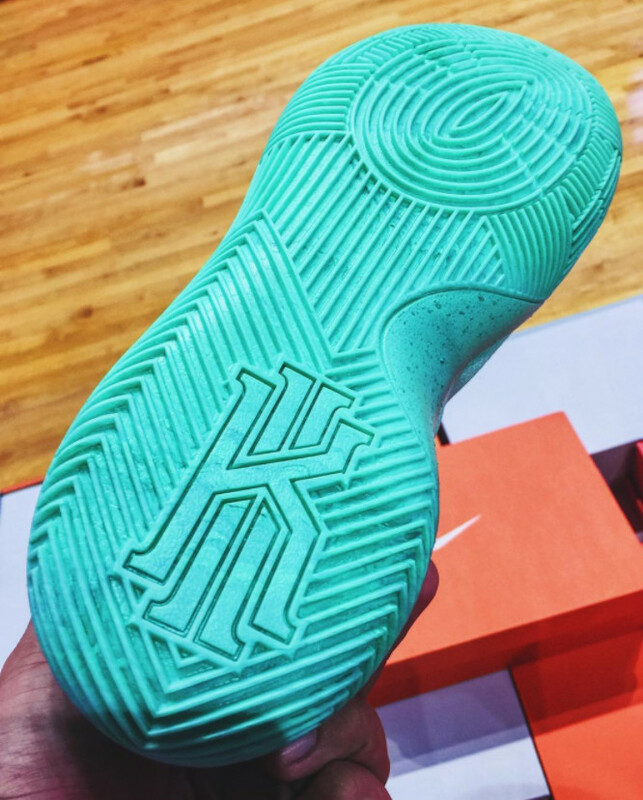 Nike Kyrie 2 that will be a part of Nike's 12 Soles collection. Note that Nike has posted two product images of the sneaker, one in off-white (above) and one in a volt/green (seen here). It's unclear which is the more accurate depiction of this Kyrie 2.